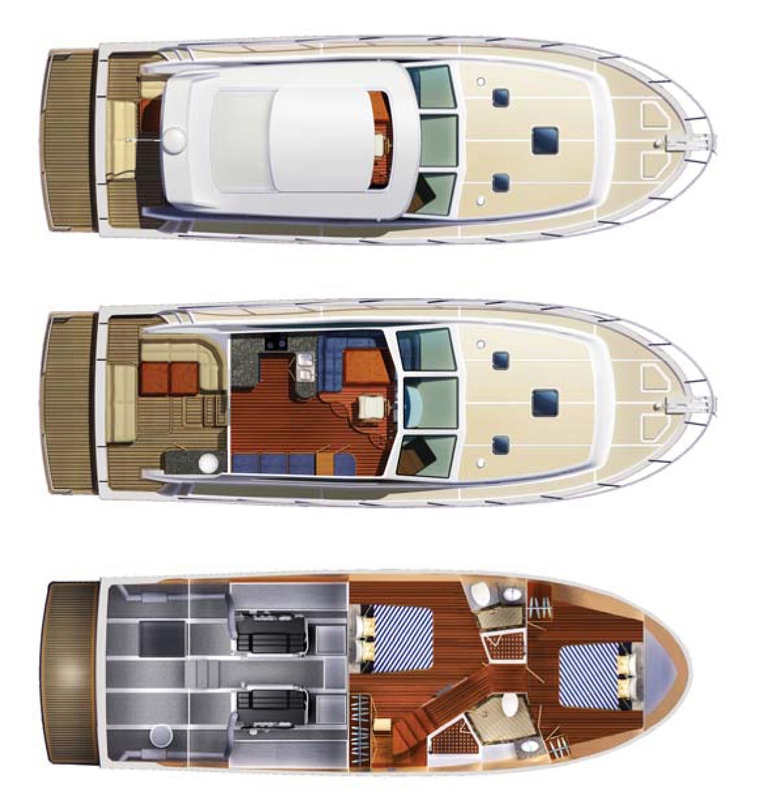 Combining all of the famed heritage of Explorer’s classic design with the contemporary lines of a sports yacht, the Hudson Bay exemplifies the modern lifestyle motor launch concept. 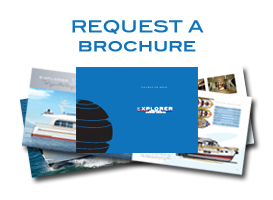 The Hudson Bay brings together Explorer’ hand-built quality and ocean going specification and combined it with a new layout and functionality. 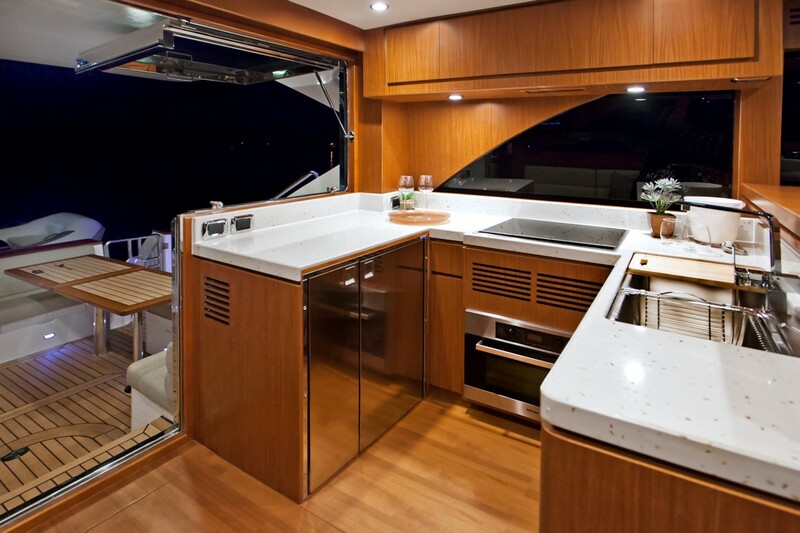 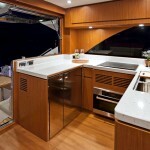 An aft galley in the single-level saloon area connects with the large entertainer cockpit via a combination of stainless steel framed glass door and pillarless awning window. 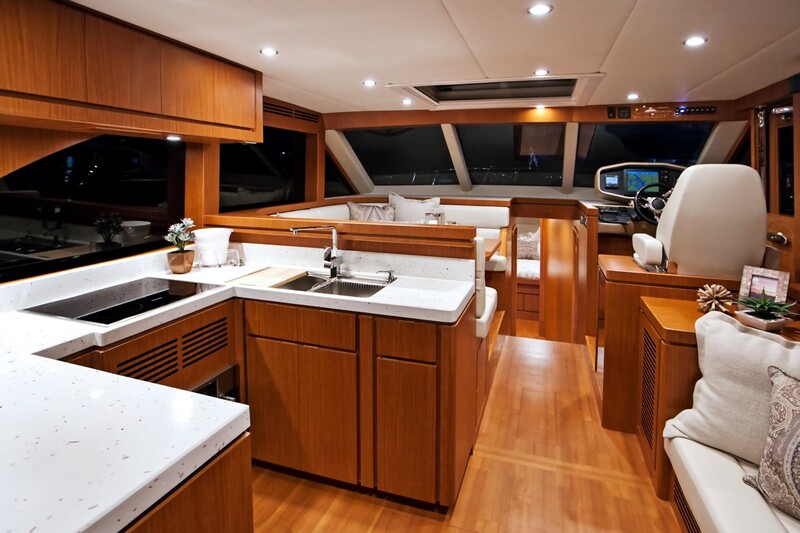 The cockpit itself is an entertainer’s delight with a barbecue console, U-shaped dinette and rear lounge. 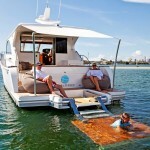 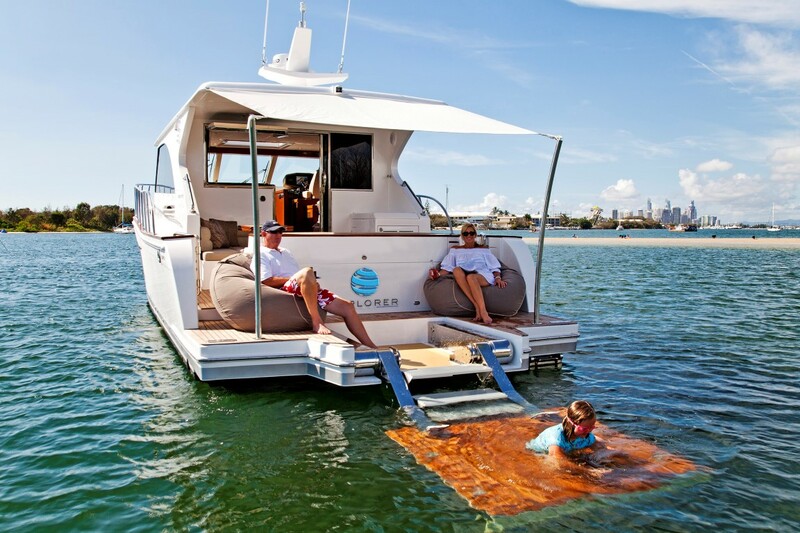 An oversize hydraulic swim platform provides quick access to the water for the tender and a great place for the family to swim and relax when lowered. 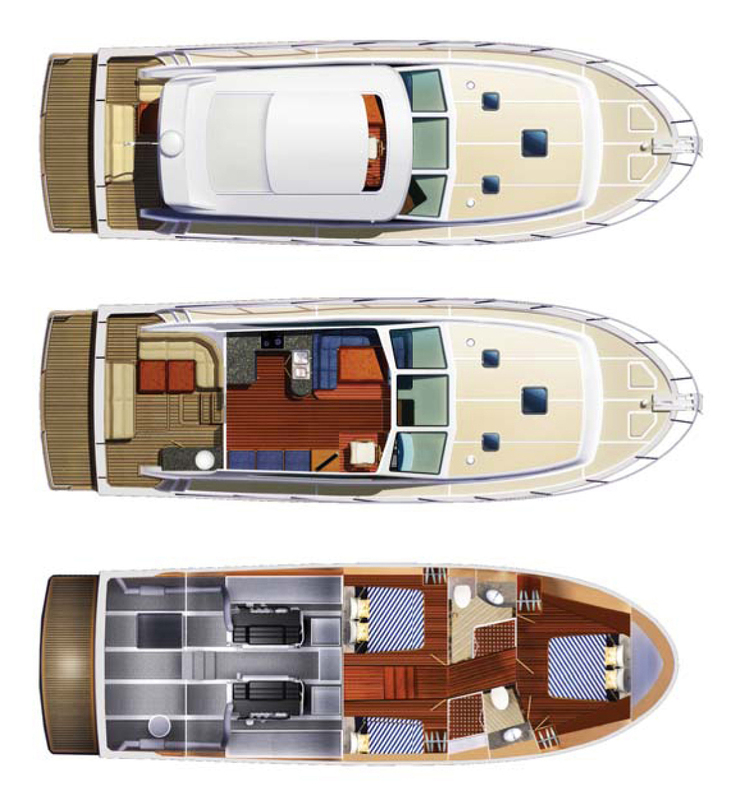 The saloon is bathed in fresh air and light through an electric sunroof for those beautiful evenings and summer days at anchor. 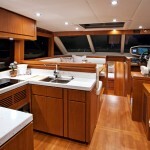 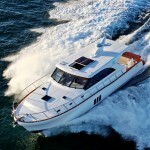 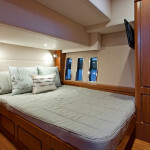 The accommodation suite of this elegant cruiser is available in options of a three or two cabin layout. 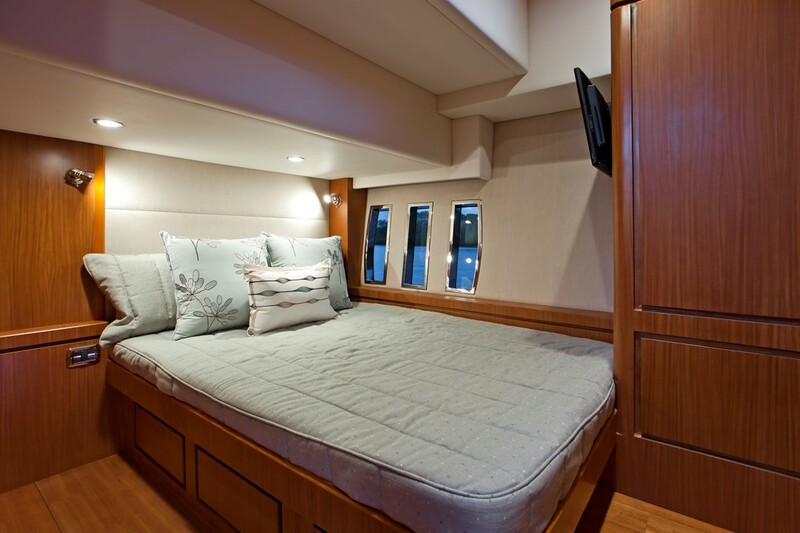 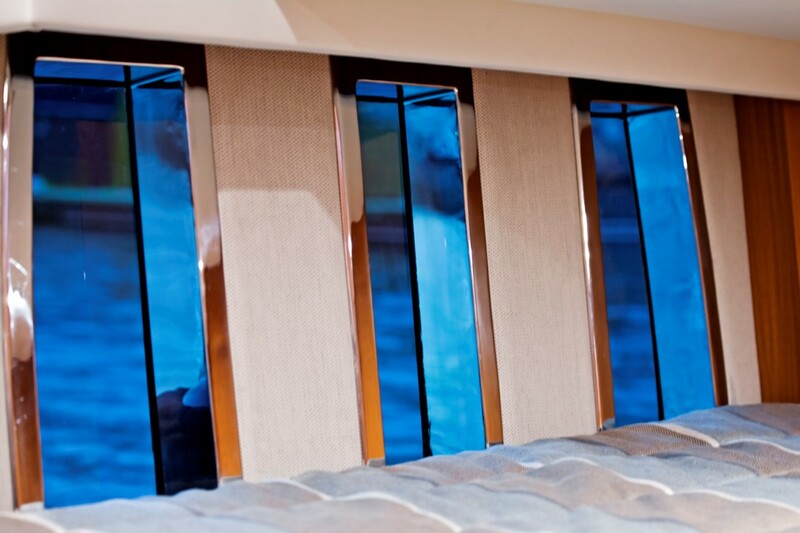 The twin-cabin format offers a large midships master stateroom for additional space and luxury. 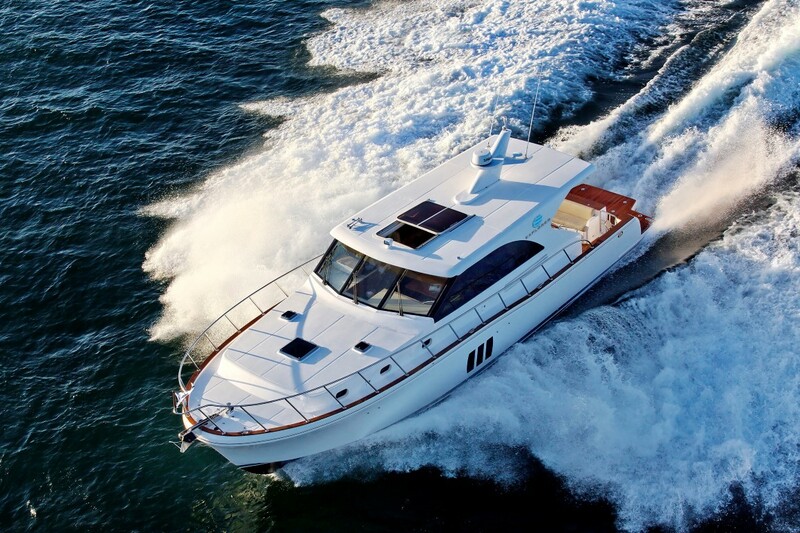 A solid keel hull semi-displacement cruiser, she is equally at ease planing at up to 24 knots and cruising at 18 to 20 or economically enjoying the journey at an elegant eight knots.